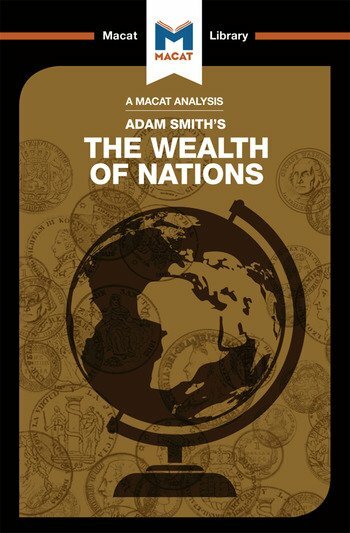 Adam Smith’s 1776 Inquiry into The Nature and Causes of the Wealth of Nations – more often known simply as The Wealth of Nations – is one of the most important books in modern intellectual history. Considered one of the fundamental works of classical economics, it is also a prime example of the enduring power of good reasoning, and the ability of reasoning to drive critical thinking forward. Adam Smith was attempting to answer two complex questions: where does a nation’s wealth come from, and what can governments do to increase it most efficiently? At the time, perhaps the most widely accepted theory, mercantilism, argued that a nation’s wealth was literally the amount of gold and silver it held in reserve. Smith, meanwhile, weighed the evidence and came to a different conclusion: a nation’s wealth, he argued, lay in its ability to encourage economic activity, largely without government interference. Underlying this radical redefinition was the revolutionary concept that powered Smith’s reasoning and which continues to exert a vast influence on economic thought: the idea that markets are self-regulating. Pitting his arguments against those of his predecessors, Smith carefully and persuasively reasoned out a strong case for free markets that reshaped government economic policies in the 19th-century and continues to shape global prosperity today. Dr John Collins is a member of the faculty at the London School of Economics, where he is currently Executive Director of the LSE IDEAS International Drug Policy Project.